Does your friend love Labradors as much as you do? Are they crazy about their dog, or a big fan of the breed? Then why not get them a fabulous Labrador themed gift. 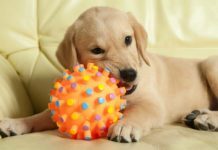 In this article we are going to take a look at some great gifts for Labrador lovers. 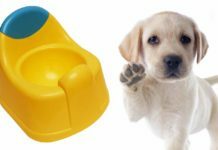 We have found perfect presents for Labrador owners, in a range of shapes and sizes. And to suit pretty much any budget. We have some excellent general Labrador themed gifts, as well as some lovely color specific ideas for chocolate, black or yellow Lab lovers too. So what are we waiting for? Let’s take a look! 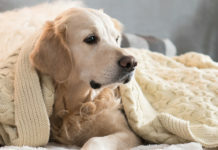 If you want to make a Labrador owner smile, then find them a gift which is also a big thumbs up to their favorite furry friend. Here are some Labrador gifts sure to put a grin on anyone’s face. Thinking that something for the home might be the right Labrador gift for your friend or family member? Then why not take a look at these lovely Labrador key racks. This Labrador key rack comes in two sizes, so you can choose the one which will best suit the space available for it – or what you think it will be used for. The 9 inch version would be ideal not just for your keys, but for hanging the dog’s leash and whistle on too. A great way to keep all of your Lab gear organised and out of the way. With an appropriate Labrador taking center stage! It is made in the USA from sturdy steel, coated in black paint for a fine finish. This cute key rack is perfect for keeping your keys safe when you get home from exercising your Lab. Featuring line of very cute Labrador figures, with tails which form hooks for your keys. It is 3.5 inches high and 10 inches long, and has 7 small hooks for your keys. The cast iron structure has a lovely attractive rust color finish, which will look great as a Labrador decoration as well as a practical line of key hooks. Cookie jars can make great gifts. After all, who doesn’t love cookies! They can be used for your cookie stash, or a great place to store dog treats. These fun kitchen accessories can be traditional or have a funky modern twist. We’ve selected three different designs, so that you can pick the type that would suit your friend and their home best. The first is a traditional design – with a realistic black Labrador picture and a classic cookie jar shape. It’s ten inches tall and has an airtight lid to keep the contents fresh for longer. You can find out more about this cookie jar here. This Labrador shaped cookie jar is great fun. Sculpted into the shape of man’s best friend. A quirky, appealing design that will add some character and happiness to the kitchen. The cookie jar is hand painted, giving its ceramic structure a lovely feel and finish. An air tight seal helps to keep the contents fresh, and it’s large size means that you can pack it full of delicious treats. Find out more about this lovely Labrador shaped cookie jar here. The black Labradors cookie jar has the best of both worlds when it comes to styling. The design includes a traditional image and two cute black Labrador figurines sitting on the top of the jar. The pictures and sculpting are by acclaimed artist Linda Picken, and will appeal to any dog lover in their delightful nature. The cookie jars are handcrafted from quality ceramics, beautifully hand glazed and contain a pretty gold embellishment too. Again the insides are air sealed to keep your cookies fresh and yummy for longer. A great gift for any Labrador fan, you can find out more about the black Labradors cookie jar here. A great little gift or addition to a large present is a Labrador cookie cutter. If your friend is a fan of dogs and baking, you can’t really go wrong with this one. They are very affordable and provide a great fun present, especially for someone with kids. This Labrador cookie cutter is durable, made of a heavy tinplate steel. Ideal for cutting cookie dough, Play Dough or even soft fruits. A brilliant gift to go alongside the Labrador cookie jar too! There are a couple of Labrador aprons with really great designs. The first one keeps things simple and to the point. The ‘I Love My Black Lab’ apron is made of 100% cotton, and importantly is machine washable. So you can keep it looking great while you’re cooking. 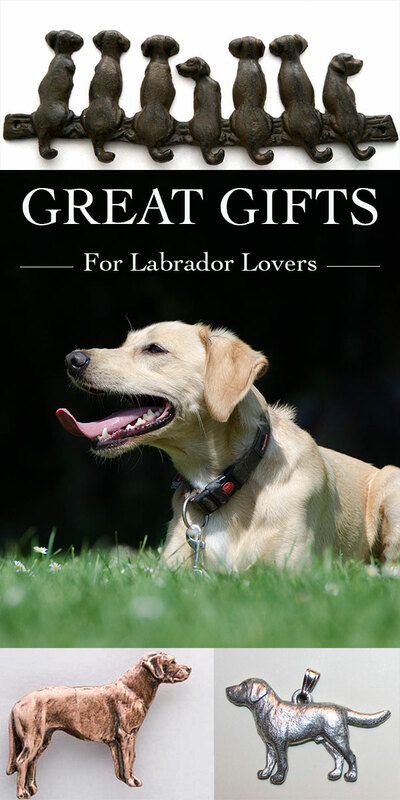 It is very reasonably priced and would make a great gift for any Labrador lover. Our other favourite Labrador apron has a humorous twist. With bold yellow and white print on a black background. This apron says “who needs a husband when you have a Labrador! There are plenty of alternative slogans in the range too. There are several great designs of Labrador mugs available at the moment. It also comes in a huge range of designs for all your other doggy friends! Looking for something a bit more simple? Is your friend the World’s Best Labrador Mom or Dad? Then help them announce the fact to the world. This fun World’s Best t-shirt comes in a variety of colors, to suit the best Labrador Mom or Dad in your life. For Labrador Moms click here. For Labrador Dads click here. This lightweight Labrador scarf is a perfect gift, and can be worn in any season of the year. Made of soft and light chiffon, it drapes around your neck in the infinity scarf circular design. 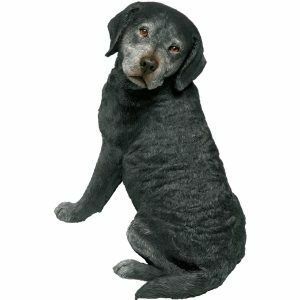 The color gives a beautiful faded vintage look, with a characteristic Labrador silhouette character on it. 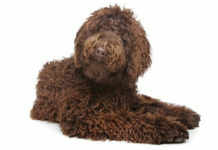 It comes in a variety of colors, and even with different breeds of dog on it. Find out more about this versatile Labrador scarf gift here. Labrador ornaments are great gifts for Lab lovers. They come in a huge range of styles and sizes, to suit any room in any home. We have picked our favorites from the choices available, to help you make the best choice for your friend. These Labrador figurines have real character. And best of all, they come in the three Lab colors! So whether your friend has a chocolate Labrador, yellow Lab or black Lab you can pick the perfect gift for them. These high quality stone resin figurines are beautifully had painted with a detailed finish. You can find out more about the chocolate Labrador here. 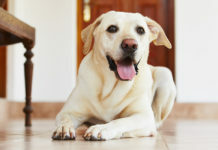 The yellow Labrador can be found by following this link. To check out the black Labrador figurine, click here. There are some very nice black Lab ornaments available, and our preferred choices are these two realistic figurines. The sitting black Lab ornament is large in size, and intricate in its details. 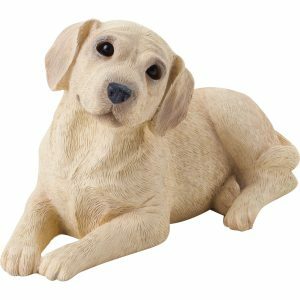 At about 15 inches tall it is sure to provide a striking conversation piece, and noticeable tribute to the Labrador in your life. The statue is cast in quality designer resin and then hand painted to finish. A beautiful addition to any home, and a fabulous black Labrador gift. You can find out more about the sitting black Lab ornament here. 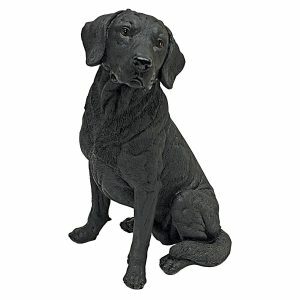 This black Labrador ornament is sure to pull at the heartstrings of any Labrador lover. It has amazing detail and character, especially in the coloration of the greying muzzle. His expression is very kind, and his pose is classic of our beloved Labs. The sculpture is approximately 9 inches high, beautifully conceived and meticulously crafted. Each black Lab ornament is hand cast and hand painted with care. As black Lab gifts go, this one is hard to top. Find out more about this amazing Black Labrador ornaments here. When it comes to chocolate Lab gifts, they can be harder to come by than those starring black Labradors. But fortunately there are a couple of lovely, fun chocolate Lab ornaments for you to choose from. 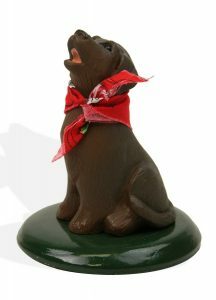 This chocolate Labrador figurine makes a lovely addition to the mantelpiece, but can also be used as a fabulous cake decoration. Giving a quirky twist to a birthday or wedding cake. It’s very light at only a third of an ounce, and about 1.5 inches in height. A super little chocolate Lab gift. Order your own at Amazon by following this link. 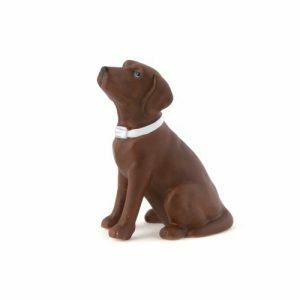 This lovely chocolate Labrador ornament is packed with character. From his delightful scarf to his endearing expression. He is hand crafted and gives a lovely unique figure of a Labrador. You can find out more about this cute chocolate Lab ornament here. If your friend is a fan of yellow Labs, then you are in luck. There are some adorable yellow Lab ornaments, and they make fantastic yellow Labrador gifts! This stunningly life-like yellow Lab is very sweet. His pose is very realistic, and his face and eyes are beautifully expressive. The sculpture is 11 inches long, and hand crafted with detail and care. A gorgeous study of the world’s favorite dog. Find out more and order your own yellow Lab ornament here. If you are looking for something a bit more fun, then you might like this yellow Lab ornament. This small figurine has a fabulous expression and comes in a neat small package at only 3.5 inches long. Hand cast and hand painted, this lovely little Labrador would be the treasure of anyone’s collection. To find out more about this yellow Lab ornament click here. Labrador Retriever jewelry makes fabulous gifts for Lab lovers. Good quality Labrador jewelry like necklaces, cufflinks and earrings can be worn with lots of different outfits. So your friend can show their Labrador appreciate all the time! We have picked out some of our favorites, which we think make great Labrador accessories. 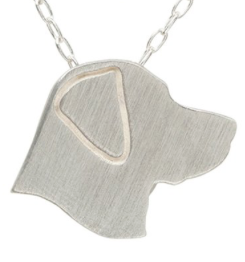 We really love this Labrador pendant. Made in the USA by specialist jewellers George G Harris Fine Pewter, this dog design is highly detailed to give a very realistic look. The Labrador is just under 2 inches long, with a flat back that will sit comfortably against the wearer’s chest. You can find out more about this great Labrador pendant here. 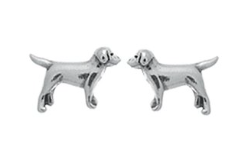 These Labrador cufflinks are great fun, and a lovely way of cheering up a formal outfit with a little reminder of your favorite furry friend. They are presented in a quality hard sided gift box, and covered by a manufacturer product warranty. A great gift for anyone who loves Labradors and has occasion to wear a suit! To find out more about these quality Labrador Cufflinks, click here. These lovely Labrador stud earrings are made from .925 silver. They are lead and nickel free, so should be worn with comfort in your ears. They are also guaranteed against defects in material and workmanship. So you can be confident in the quality. They are 0.35 inches in diameter and a quarter of an inch in height. 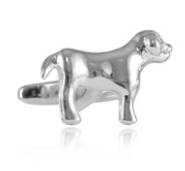 You can find out more about the Labrador Retriever stud earrings here. These fun Labrador earrings are made from stirling silver. They are just over an inch long, but light weight and easy to wear. They are made in the USA and well presented in a nice gift box. And ideal Black Labrador gift for your Lab mad mate. 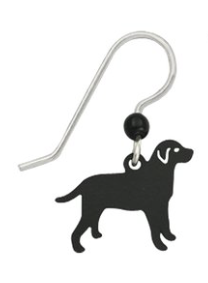 Find out more about the Sienna Sky black Labrador Retriever earrings here. This cute Labrador necklace is a subtle but adorable way of showing the world you’re a Lab fan. 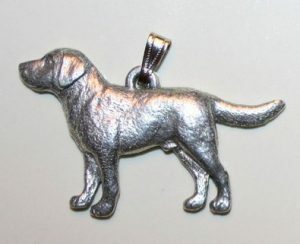 It consists of a Sterling Silver Labrador profile charm and an 18 inch chain. It also arrives in a nice presentation box, ready to be gifted to the Labrador lover in your life. You can find out more about this Labrador Retriever necklace here. We really love this Labrador brooch or lapel pin. It really looks the part. The Labrador figure is hand sculpted, cast and put together in the USA, using fine English lead free pewter. 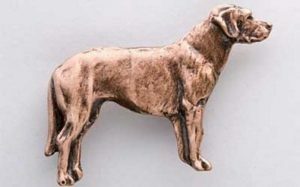 The finish is classic, and it would make a great lapel pin or brooch for any Labrador lover. The perfect Chocolate Labrador gift. You can find out more about this Labrador brooch here. Finally, why not buy your friend something that is going to be very useful to them as a Labrador owner – the ultimate Labrador book! 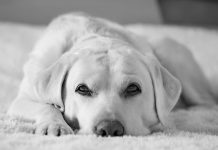 The Labrador Handbook is brought to you by our very own editor Pippa Mattinson, who brings her wealth of experience and knowledge to you in an easy to understand and thoroughly enjoyable read. A great gift for any Lab lover. 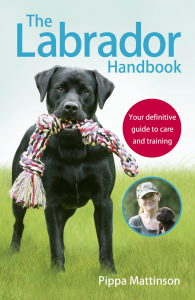 You can find out more and get your copy of The Labrador Handbook here. There are beautiful house signs saying Labradors Live Here on Etsy. By Refined Inspirations.